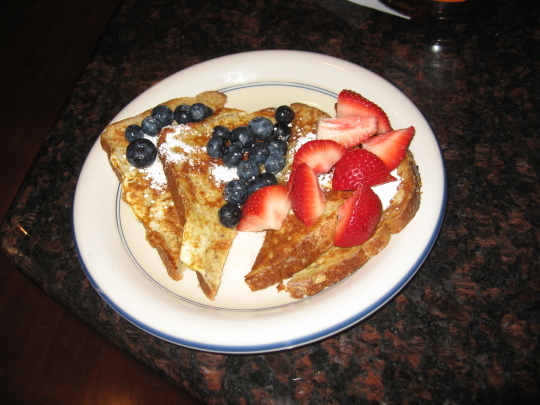 Jamie and I started out our Independence Day at our new Tustin place of residence by having Red, White and Blue French Toast. If you know the history of how this country was founded you’ll understand why that isn’t a contradiction. As you can see in the photo the Red was provided by strawberries, the White by powered sugar, and the Blue by blueberries. Jamie and I then proceeded to spend the rest of the daylight hours filing my old mail in preparation to move it to our new place. This was the height of excitement let me tell you. Luckily we broke away from that extremely exciting task to do something that was actually fun. 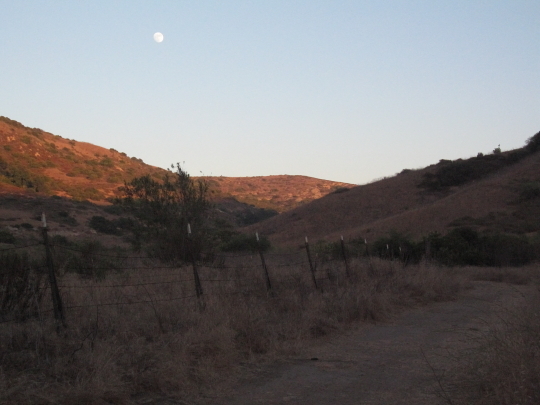 Jamie booked us for an evening hike at Bommer Canyon which is in the South Preserve of the Irvine Ranch though the Irvine Ranch Wildlands website. 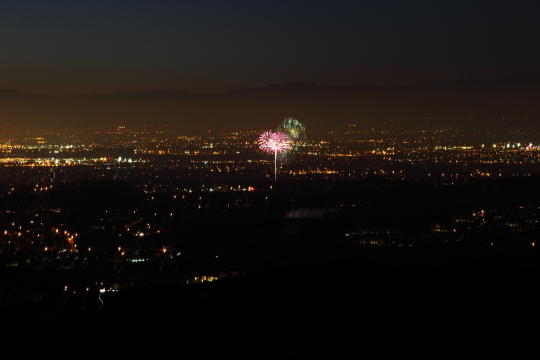 The hike started at 7:30 PM and went on a 3 mile loop up near the 73 Toll Road and paused at the top of the ridge for a spectacular view of at least eight different fireworks shows all over Orange County. I took the camera along and attempted some shots of the shows below. Only after the hike did I realize I truly needed a zoom lens but I think the shots I captured were pretty spectacular nonetheless. Besides the long exposure night shots of the fireworks I also bumped the ISO up to 25,600 and took some shots lit only by moonlight. This is extremely difficult since you have to manual focus and it’s quite impossible to do anything except estimate distance since it’s dark out. 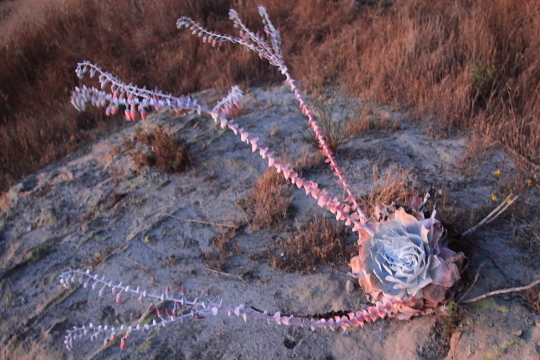 Through trial and error I was able to get these shots somewhat in focus. The hike was fun and just difficult enough to be challenging. 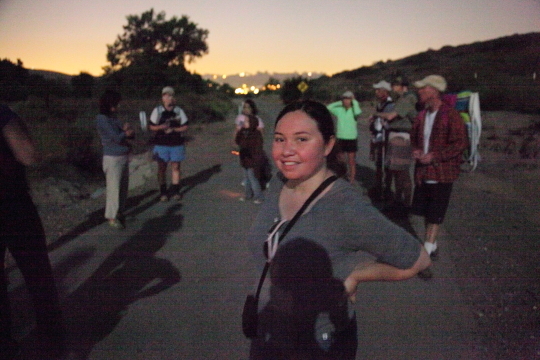 Jamie and I look forward to doing more hikes like this in the future. Moonlit shot taken at ISO 25,600.